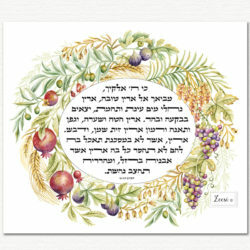 This is the traditional sacred Jewish blessing for a son said on shabbos evening. 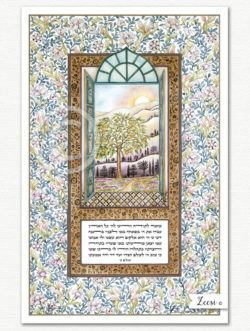 The judaica print is a great gift for a new baby boy or a bar mitzvah. 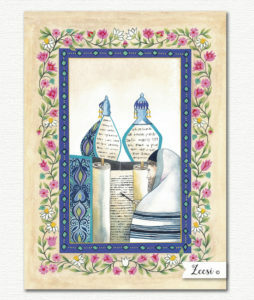 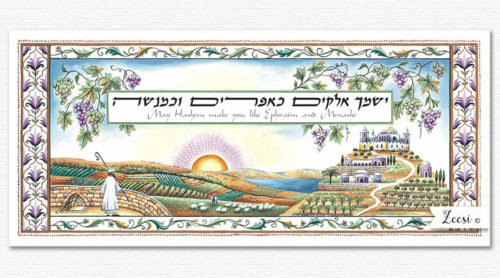 Zeesi’s judaica art is reproduced with the giclee fine art printing process. 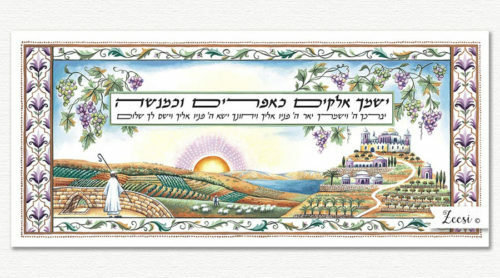 The artwork is scanned at high resolution then printed with quality inks on textured archival art paper. 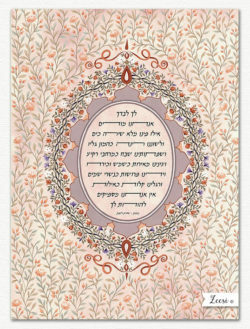 The color is stunning and true to the original painting.